The magnetic North pole is moving away from Canada and towards Russia ☹️, atleast on the charts. Some even say it's moving 50+KM per year. This would have quite the effect on the aurora oval I imagine, have models like the NOAA aurora ovation updated to incorporate this? 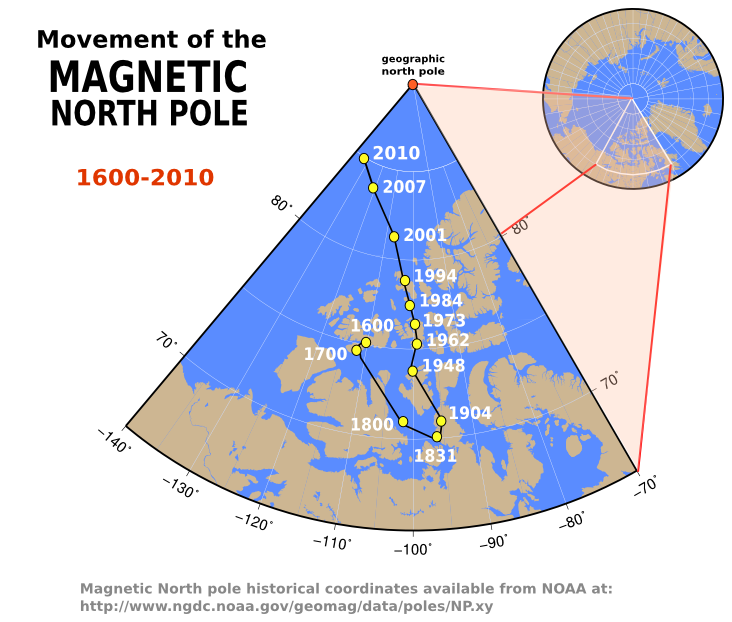 I actually do not know what exact location NOAA uses for the magnetic north pole in their models. The pole are indeed on the move all the time and do affect the location of the auroral oval. @Vancanneyt Sander might know.